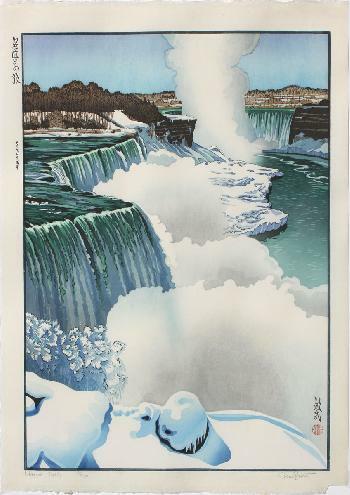 Niagara Kyuden – Niagara FallsPaper size: 47.5 x 65 cm. From the series, Meishô to no tabi (名匠との旅) - Travels with the master, Hiroshi Yoshida being "the master" of course. This print was printed in an edition of 100; title, number and signature in pencil in the bottom margin.